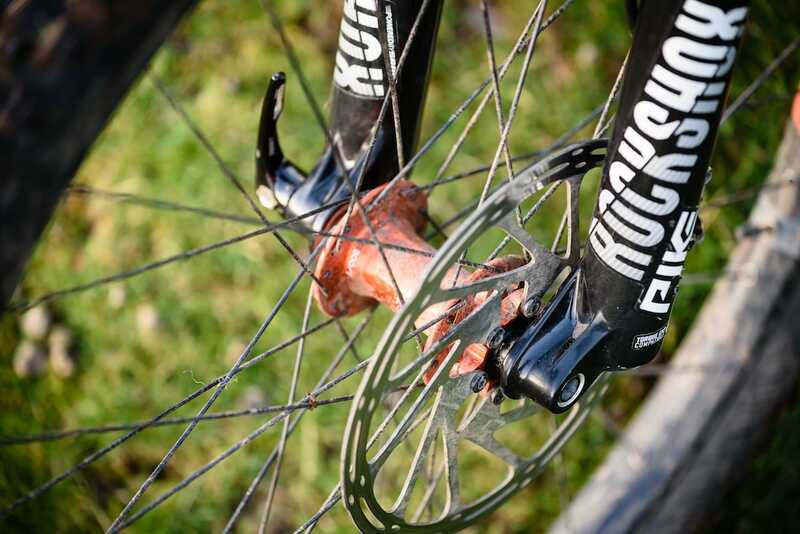 Last year RockShox released the new generation Pike fork. To find out if it really is all that and a bag of chips, we sent a test fork up to James Vincent, who took his old Pike off to put the new one to the test. Over to James! Since its relaunch back in 2013, the RockShox Pike has rapidly become the hard hitting trail and enduro fork of choice. 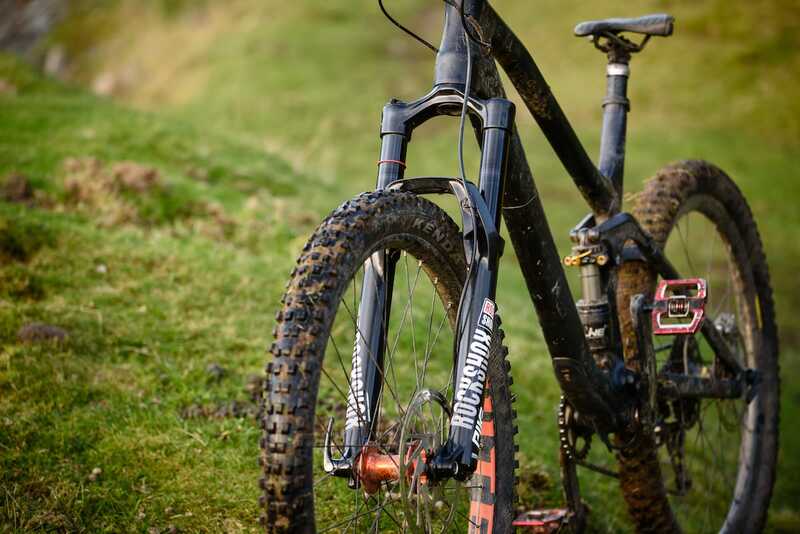 Offering greater stiffness and control over skinnier XC forks, but without the associated weight penalty of a full blown downhill fork, the Pike’s Goldilocks performance has set a buttery benchmark for all others. Things have heated up lately though, with a raft of new high-end trail and enduro forks including the Cane Creek Helm, Formula Selva, DVO Diamond, MRP Ribbon and Ohlins RXF 34, all upping the ante against the Pike. To ward off these new competitors – alongside bigger rivals like the Fox 34 and Manitou Mattoc – the Pike received a substantial overhaul for 2018. It’s been gifted an entirely new chassis, a new DebonAir spring, and an updated Charger 2 damper. As well as the new Pike, RockShox also released an updated Lyrik, which is the beefier, heavier and longer travel version of the Pike. In the process, RockShox wanted to redefine the Pike as a trail fork, and the Lyrik as the enduro fork. As such, the Pike is available with travel from 120-160mm (120-140mm in the 29in version), while the Lyrik takes over for the 150-180mm travel bracket. The RockShox Pike RCT3 is all-new for 2018. 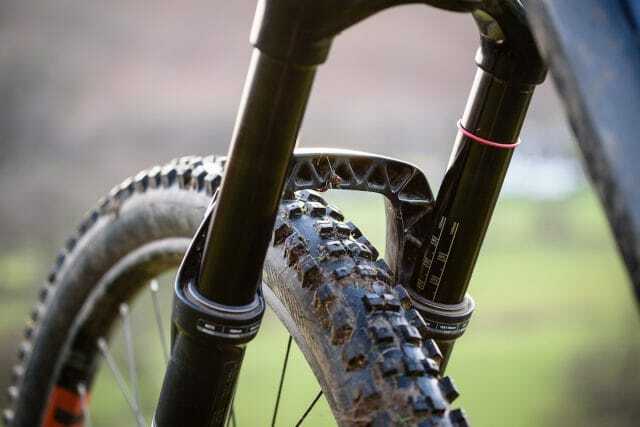 The fork I’ve been testing is a 27.5in DebonAir Pike with 150mm of travel and an RCT3 damper. The Pike also comes in a 29in size, and you can also get Dual Position Air versions that offer external travel adjustment. There is a Pike RC, but it’s OEM-only, so you’ll only see that fork on complete bikes. You can read about Wil’s first impressions of the 2018 Pike, which he got an exclusive first ride on last year. Shortly after that release, I received this bad boy for longer term testing. Since then, I’ve been riding the heck out of it on my personal Canyon Spectral trail bike, where it’s replaced a 2016 model Pike – a fork I was already very happy with. So, just how different is the new Pike to the old one? What have RockShox’s purported improvements done to this modern day classic? And for those like me who already own a Pike; is the new one that much better to justify an upgrade? The iconic 35mm diameter black anodized stanchions remain, with those useful sag gradients and an orange o-ring helping with setup. Other than that though, the rest of the Pike’s body is entirely new from top to bottom. In total, RockShox has shaved off 150g from the total weight compared to last years Boosted Pike. Part of this is the move to a lighter Maxle Stealth bolt-up axle as standard (though our fork came fitted with a Maxle Ultimate), but it’s also because the new Pike is 100% dedicated to Boost spacing. You can now fit up to a 2.8in tyre. Like it or not, Boost spacing is here to stay. 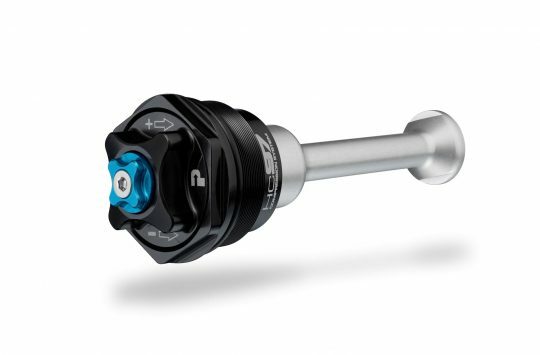 RockShox has thrown its weight behind the wider hub standard, and so from 2018 onwards, all of its mid-to-high-end forks will be Boost-only. For the new Pike, that means its chassis is completely optimised for the 110mm wide hub, with the legs sitting further apart to increase tyre clearance. You can now fit up to a 2.8in tyre, or simply enjoy a tonne of mud clearance with regular-width tyres. Prefer even bigger plus tyres? 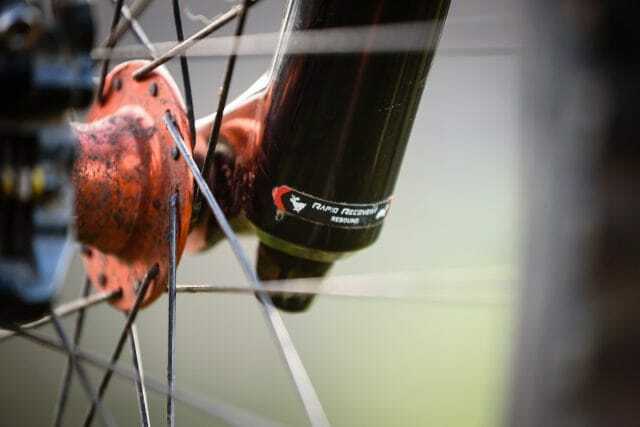 The 29in Pike will also clear a 27.5×3.0in wide tyre. As with the 110x15mm hub spacing, the Pike has also reduced options elsewhere. It’s only available with a tapered 1.5in steerer tube, and it now features a dedicated 180mm post mount for the disc brake calliper. This means you won’t need an adapter with a 180mm rotor. You can fit a 200mm rotor with the addition of a 20mm adapter, but it’s worth noting that you can’t run this fork with a 160mm rotor. The Charger 2 damper has a new dial that is easier to turn, making it remote lockout compatible. 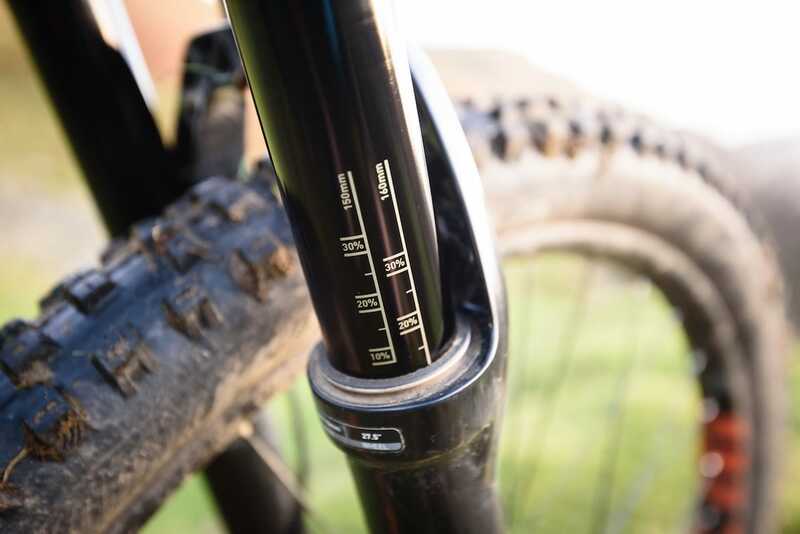 To make setup as simple as possible, as with most Rockshox forks, internal adjustment is limited to adding or removing Bottomless Tokens from the air spring. Most of you know the deal with these now. More Tokens = more progression, and fewer Tokens = less progression. 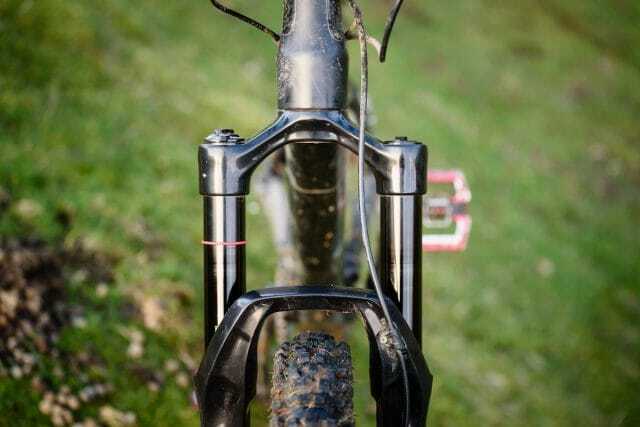 RockShox has also simplified the internals, so for every 10mm drop in travel an extra Token is fitted from the factory. So now the 160mm Pike comes out of the box with no Tokens, a 150mm Pike comes with one Token, and so on. Externally, you have adjustable air pressure, rebound damping, and a 3-position compression dial that offers Open, Pedal & Firm settings. In addition to this, there’s a black low-speed compression adjuster, which you can use to fine-tune the compression damping in the Open setting. A cassette tool is used to take off the top cap to get to the Bottomless Tokens inside. With our test fork having 150mm of travel, there was one token inside. If you do want to play around with Tokens, this is now done by removing the top cap with a cassette tool. Although this gives a really clean look, the low-profile air cap can be a little harder to unwind with your fingers. To support my 85kg riding weight, I set the air pressure to 75psi, and set rebound halfway. With the steerer cut to just under 200mm, our test fork weighed in at 1.88kg, with a starnut and a Maxle Ultimate axle installed. Sag gradients make setup that much easier. Tested as a like-for-like replacement on the front of my Canyon Spectral, I’ve been riding the Pike on a variety of trails, from hardpack trail centre stuff, through to some of the big natural riding in the Lake District, and on some slithery Hebden Tech too. Compared to my recently serviced 2016 Pike, the first thing I noticed was how supple the 2018 Pike feels off the top. It’s not a monumental difference, but it’s there, and this makes the Pike more reactive to smaller bumps on the trail so it can absorb them more willingly. A lot of this can be attributed to the larger negative chamber of the new DebonAir spring, which provides a level of sensitivity that seems to have been borrowed straight from the uber-plush Lyrik. Because of this, you can run slightly higher pressure (just like you would with a DebonAir shock compared to a non-DebonAir shock). Whereas I’d run 70psi in my old Pike, 75psi in the new one felt better. The 2018 Pike replaced a 2016 Pike on the front of James’ Canyon Spectral. 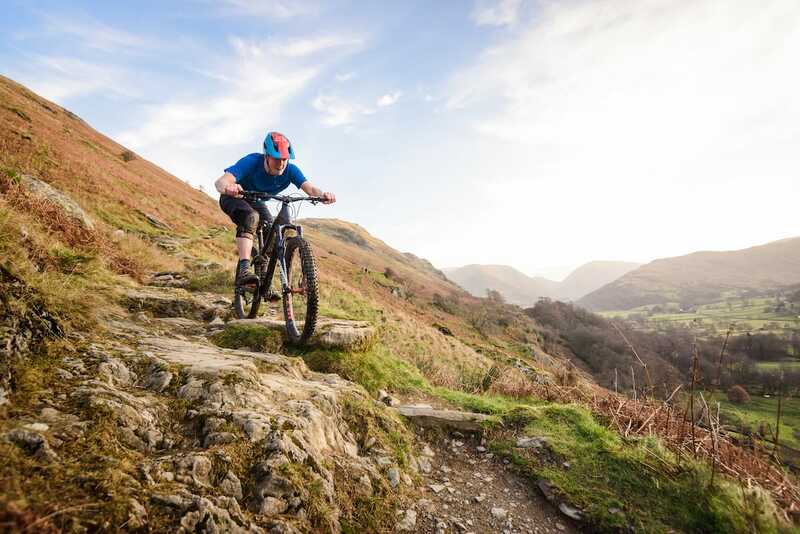 Riding in the northern Lake District, this is important for me because I tend to run slightly higher pressures than recommended to prevent forks from diving down on super steep trails. Normally this would come at the expense of small bump sensitivity, but not so with the new Pike. It’s more supple, but it also holds its travel better than its predecessor. For experiment’s sake, I added a second token and dropped the pressure to compensate, but I found the fork was ramping up just a little too much towards the end of the stroke. This made the travel feel a bit spiky on bigger hits, and I wasn’t getting anywhere near full travel. So I took it out and tried zero Tokens. On steeper trails, the fork (predictably) blew through its travel too much. So I went back to running one Token for the majority of the remainder of the test. At high speeds, the Charger 2 damper is calm and controlled. When climbing, the fork tracks the ground well, and as long as you’re not wildly sprinting out of the saddle, it doesn’t bob excessively. As such, I rarely put the fork into the Pedal compression setting, and hardly ever used full lockout. Except on the sprint back to town to make last orders of course. Refined for 2018, the Charger 2 damper has primarily been refined to make the dial easier to turn, which has opened the ability to run a remote lockout. That aside, Charger 2 is also said to offer a wider range of low-speed compression damping in the Open position. I can’t say I noticed a dramatic difference, as I ran the LSC dial between 0 and 5 clicks (out of a total of 18), depending on the trail in front of me. That said, I had no problem with finding a sweet spot for the damping for a wide range of trail conditions. 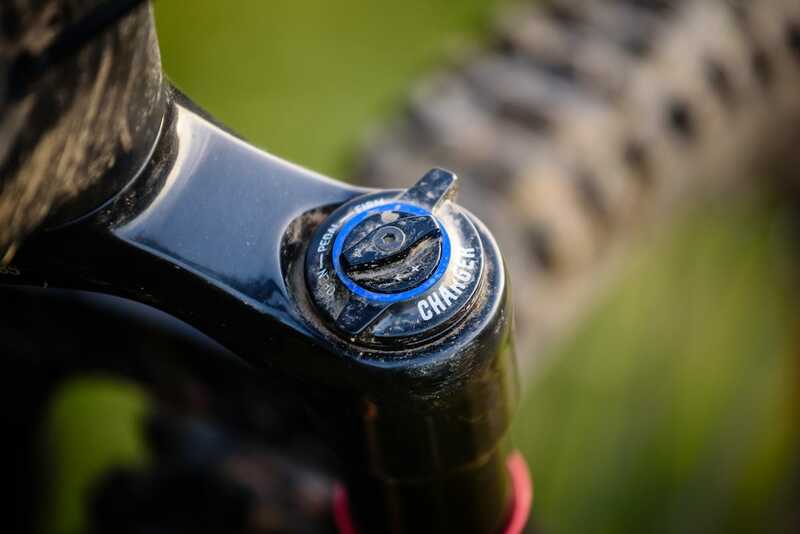 The rebound damping is excellent, and save for the almost cartoon-like settings at either extreme, each click offers a noticeable and useful change in damping. Compared to the cheaper Motion Control damper found in the Revelation and Yari forks, the sealed Charger 2 damper offers more composure and control at higher speeds, where it allows the front wheel to stay stuck to the ground. It’s improved reactivity means it doesn’t spike like the Motion Control damper can, though you’re less likely to notice this difference on average trail centre-type trails. The extra clearance is particularly noticeable with 2.3-2.4in wide tyres. 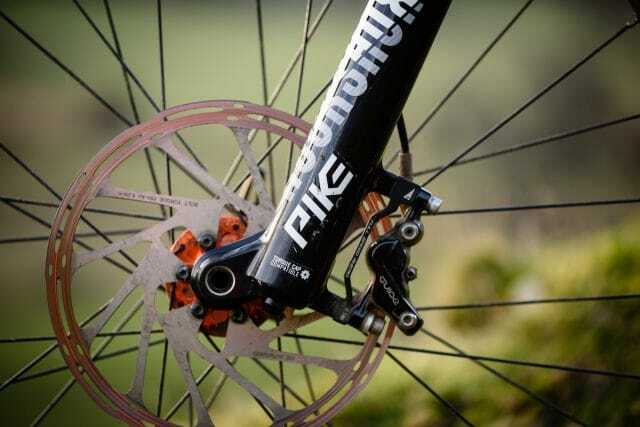 The only real complaint I have with the new Pike is with the oversized Torque Cap dropouts. These work well with Torque Cap-compatible hubs (and RockShox claims the configuration makes for a stiffer interface), but for the other 90% of hubs out there, it just makes installing a wheel more of a faff than it needs to be. I regularly transport my bike in the back of the car, and it would be nice not to have the hub floating around in the dropouts as I’m trying to thread the axle through. That aside, there is a quirk with the air spring that I encountered once, after letting out pressure too quickly with a shock pump. When you do this, the negative and positive air chambers may not be able to equalise correctly, so pressure is dumped out of the positive chamber while excess pressure can remain inside the negative chamber. When this happens, the fork will appear to be sucked down into its travel. The fix is to air up the fork to its maximum recommended pressure, compress the fork a few times to equalise the two air springs, then slowly release pressure back to your desired figure. 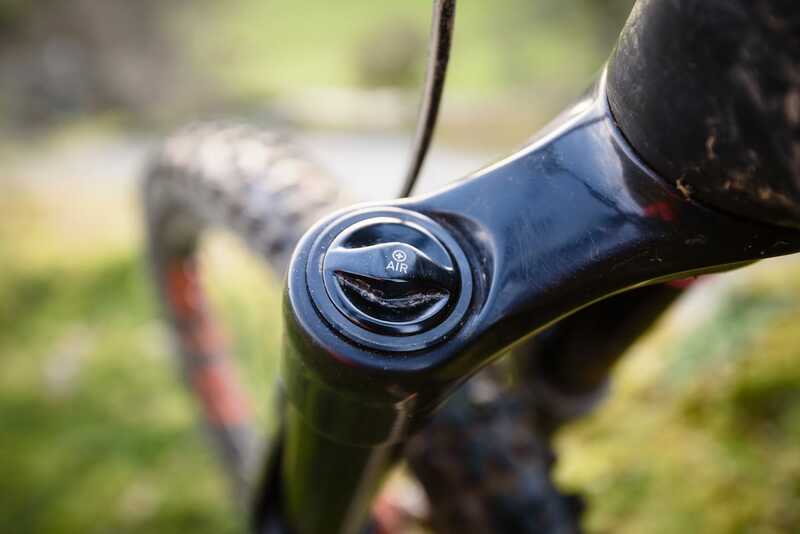 This isn’t a quirk exclusive to RockShox – it can happen with any self-equalising air sprung fork. But it is something to be aware of so you don’t end up accidentally shrinking your fork travel after doing a trailside pressure release with your fingernail. The Pike remains as one of the best, and easiest to setup trail forks on the market. In the most complementary way possible, the best way I can describe the new Pike is that it feels… like a Pike. Which is a very good thing. It isn’t a huge step up above the previous version, but the improved sensitivity and mid-stroke support that the DebonAir spring brings to the table is welcome. Is it worth upgrading from your existing Pike? If it’s been well looked after, serviced regularly, and is still performing well, then I would find it hard to justify shelling out the cash. 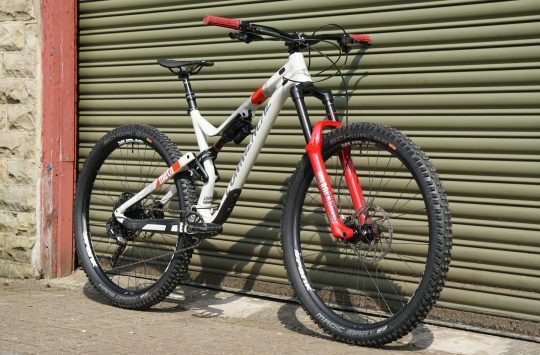 At over £800, the Pike RCT3 isn’t what you’d consider cheap. Alongside its main rivals however, it is competitive, coming in cheaper than the Formula Selva (£899), the MRP Ribbon (£899), the Fox 34 Float Factory Series (£939), and the Cane Creek Helm (£950). If price is more of a concern though, the 2018 Revelation fork is essentially the same fork as the Pike here, albeit with a cheaper Motion Control damper. It may not have the same high-speed composure as the Pike RCT3, but it’s still a damn good performer. For those who want a no-compromise fork that works beautifully out of the box and doesn’t need an engineering degree to setup though, the new Pike has reasserted itself as one of – if not the – best performing trail forks on the market. I thought that the Fox 36 Factory was the king of the mountain? Good write-up. I have the exact same fork, after coming off a 2015 one. 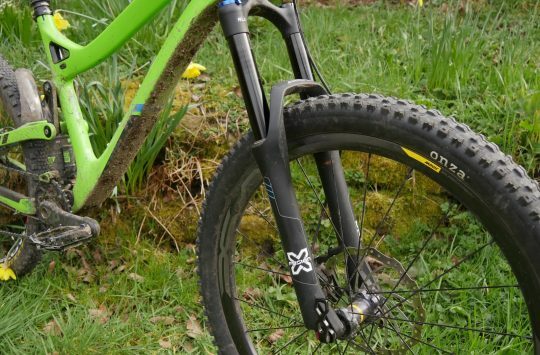 Definitely feels softer off the top – the fork actually settles very slightly into its travel under the weight of the bike itself, which I’ve only seen on super-plush DH forks before. And out of the box it feels perfectly set up support-wise with the one token. I spent a long time faffing with tokens & pressures with the ’15 to get it exactly how I wanted it; the new one was easy. And it’s relatively easy to find a good deal online, well under £RRP. Not something that’s ever been the case with Fox. In general, the Pike is more comparable to the Fox 34, whereas the Lyrik competes with the 36. We’ve actually got a head-to-head between the Lyrik and 36 right now, so stay tuned for the upcoming feature on that one!